Today, we’re getting back to basics with an essential gear list just for wedding photographers. There are loads of gadgets and equipment one can purchase to take his or her career to the next level, but there are only a few really necessary items. Whether you are just starting out as a wedding photographer or have been for years and want to make sure your bags are packed with the best essential photography gear, this post is for you. A camera is a tool, the person behind it the artist. Like a painter, the photographer uses a camera in the same way the painter uses brushes. Some brushes are better than others, but how the painter uses the brush is the most important thing. As a photographer, you will probably come across and use many different kinds of cameras, and you may own one that has served you well over the years. But at some point you may find that it’s time to upgrade to a camera that can help take your camera to the next level. 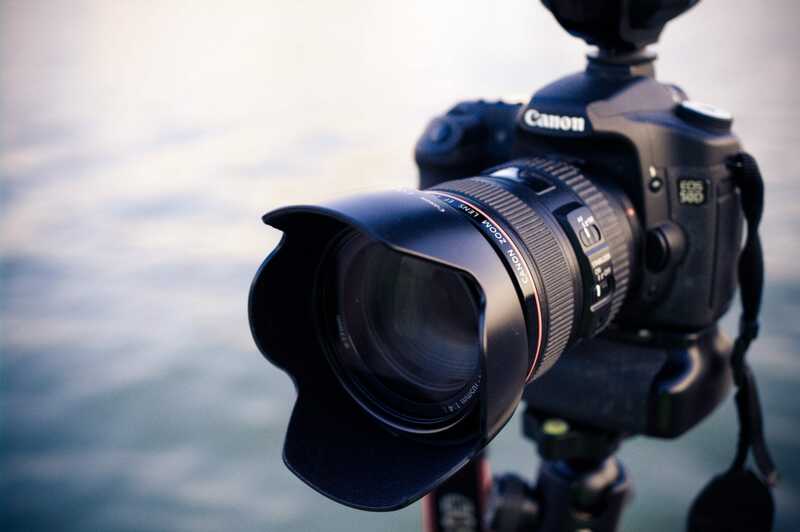 Full frame DSLR cameras like the Canon Mark EOS 5D Mark IV offer professional wedding photographers everything they need to capture the highest quality photos. Full frame cameras have several advantages, including improved low-light performance, more control over depth of field, higher ISO performance, improved dynamic range and color depth. These kinds of cameras work especially well for photographers who capture landscapes and portraits, both of which are a part of weddings. Lenses with wide apertures, like the Canon EF70-200mm f/2.8, allow you to shoot in lower light and allow shallower depths of field for creating artistic, vibrant effects, like bokeh. A wide aperture lens also allows you to capture the entire wedding party, from close-up and detailed shots of the couple to widespread formal portraits. Since lighting can change throughout the ceremony and reception (inside vs. outside, artificial lighting, etc. ), it’s best to pack a couple of flash units inside your photographer’s bag. Consider having a speedlight (aka flash gun) on hand. I prefer the Canon Speedlight for its wireless communication, high speed flash rate, dust and water-resistant body, and portability. It’s a great little piece of equipment to have, as it’s easy to transport anywhere and works well in a variety of situations. If you’re tight on budget or just want to have an alternative lighting source on hand, consider purchasing a collapsible light reflector pack. The 5-in-1 option gives you five panels in different colors: translucent (for use as a diffuser), silver (highly reflective and brightens both shadows and highlights), gold (adds warmth to the photo), white (brightens shadows to produce softer light), and black (subtracts light and creates shadows). Having spare memory cards, like the SanDisk Extreme Pro, and a battery pack in your bag means you won’t have to worry about running out of space or precious camera juice. High-speed, high-capacity memory cards record full HD, 3D, and 4K video and makes post-production a breeze with faster write and transfer times. Whether you are an experienced wedding photographer or just dipping your toe into the water, you’ll want to own a sturdy tripod, monopod, or both. Some photographers find tripods too cumbersome, but something like the Manfrotto MKBFRC4-BH Befree Carbon Fiber Tripod features a compact design and is made for traveling. 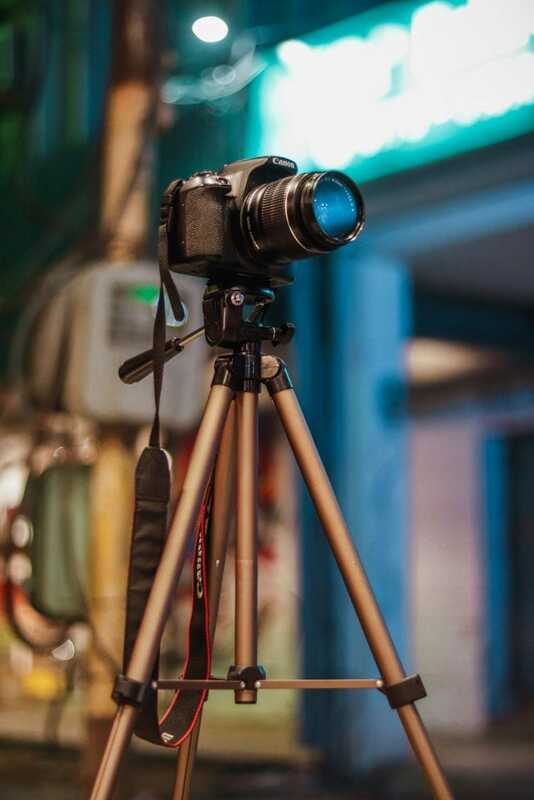 You might also consider a monopod like the Oben ACM-1400 4-Section Aluminum Photo-Video Monopod, which combines increased stability with mobility. Whichever you choose, having one will ensure crisper images when you have to rely on natural light or shoot at lower shutter speeds. As cliche as it may sound, remember that the most important gear you take with you is experience and knowledge. The tools you use can definitely help you, but the more experience, knowledge, and skills you have will take you a long way.